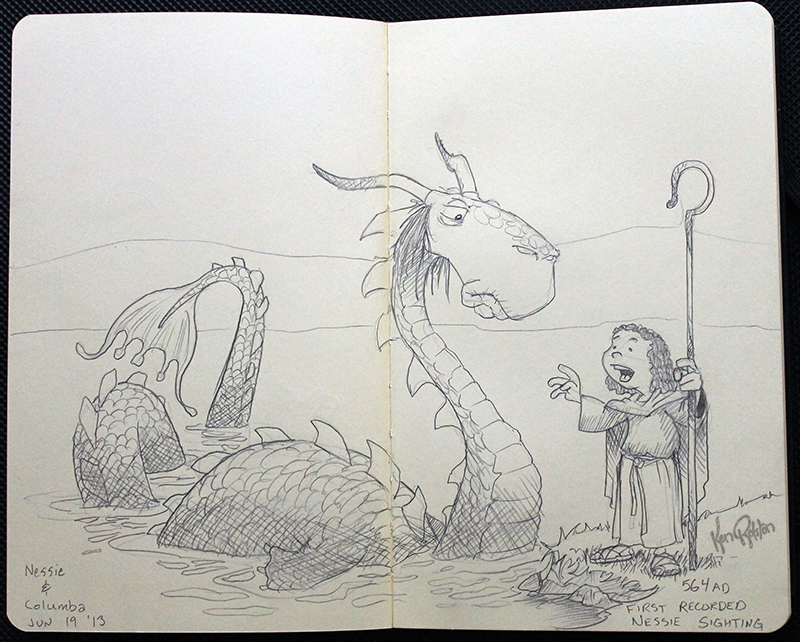 Dragon 559 – Columba stops to ask directions from the sea serpent of the loch. Not to be mistaken for Columbo, Columba would later become St. Columba. His story is the first documented account of a sea monster in the River Ness (it wasn’t actually in the Loch for his account)…and he wasn’t there to ask directions. I almost missed this important date in dragon history. I know Nessie has never been called a dragon, but he’s close enough for me.